Networking is the process of developing and nurturing contacts with people to obtain information, advice, referrals and support in your job search or career exploration. We've all heard the old saying “it’s not what you know, it’s who you know.” Employers are more likely to hire someone they already know and trust or someone that’s been referred to them by a mutual colleague or friend. How do you network??? The simply answer is to keep in contact with friends, family, teachers, former co-workers, former companies you have worked with etc through many means e.g. emails, phone calls, Facebook, Twitter, LinkedIn etc. Try spending more time this month developing your networks by attending an industry event, meeting new people—even just talking to family and friends or going out and socialising! You never know who someone might know. You can even develop your networks online through social networking sites like Facebook or LinkedIn. Networking often leads to job referrals and can be far more useful than sending off resumes to people you don’t know—and who don’t know you. The negatives are if your not use to social networking sites like Facebook, Twitter and LinkedIn it can be a disadvantage but it never too late to learn. Just takes time and if you unemployed then it gives you chance not only to learn a new skill but new job search method. Nothing ventured, nothing gained as they say. With smartphones and tablet devices it is a lot easier to keep networking on the go and for people who spend a lot of time using such social networking sites. I know a lot of job seekers either hate going to the Job Centre or do not like attitudes of some of the staff but this is a source that can help you find work if you use it right. You need the right attitude and be determined. When you start going Job Centre, it is the responsibility of your advisor to help you look for the jobs you have given them. Don't be afraid to ask them have they got any jobs on their system, it is apart of their role/job. Use them while you are there. There job is to help you find work, If you go with a bad attitude or not bothering then you are closing a valuable resource on yourself. If you don't like going then best thing is get them to help you find work or put you on courses which can help you develop and gain employment. Be focused, determined and be polite. Work with them, not against them. If you are not working well with an advisor or you feel your not getting level of support then speak to someone in charge about switching. Remember, the Job Centre staff deal with a high volume of job seekers at times so be patient and give them a chance. 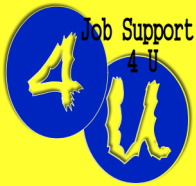 Use their in house job points and their online site Universal Jobmatch to help find jobs. Both are useful search tools to use. Newspapers use to be a very popular method but these days it is not. This use to be the only source to find jobs but these days as you have seen, its no longer. Newspapers themselves have noticed this an some newspapers no longer feature job adverts. Despite this, for some it is still a job search method to use and local newspapers are very good to look through as they encourage local business/companies to place job adverts in their paper. Free newspapers like The Metro etc are also a good source to use. It would be a bad mistake though to solely relay on this method!! Job Agencies are another useful job search method. Not only do companies/business sometimes solely advertise through these at times, they are also used to help screen applicants. There are a lot of Job Agencies around the country and if you look through your local region will you probably find quite a few. If you looking for certain types of jobs, there can be agencies that specialise in these types which may benefit you. Agencies are driven to find the right applicants as they are paid for people who are successful and have been in the job for over 6 months. You will get informed whether your application has been successful or not and what you need to do improve. However there are a few negatives as a lot of work can be short term, staff can be too selective meaning you miss out on potential jobs, some charge you a fee, some will not treat you well or not keep in touch and your needs are not placed first. Not a method for everyone but can be good.